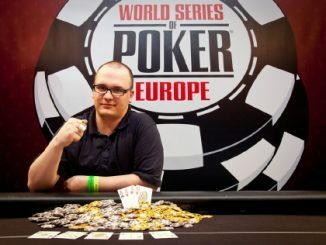 Another chapter was written in the remarkable story of Michael “The Grinder” Mizrachi after he captured the first €10,000 buy-in WSOP Europe No Limit Hold’em Split Format bracelet. The former WSOP gold bracelet winner enjoyed a stellar 2010, during which he won USD $1.6 million in the $50,000 buy-in Poker Players Championship, and also made it to the November Nine of the Main Event, good for another $2.3 million, ultimately finishing in fifth place. 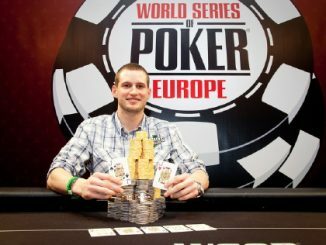 He added a further €336,008 for victory in this event. “Everything was going my way and there was nothing anybody could do. It was my day. I did some things that people usually don’t see, including some really crazy stuff. I was doing it nine-handed, then six-handed, and then short-handed. I was trying a lot of different things,” Mizrachi said. 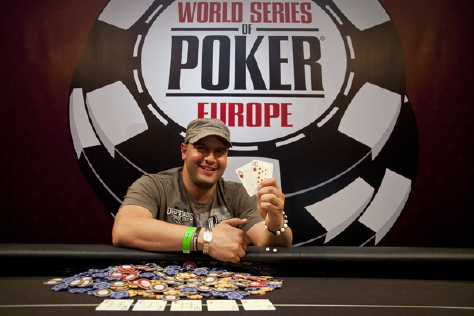 The final four featured Mizrachi, Frenchman Roger Hairabedian, from Grasse, France, Canadian Shawn Buchanan (with more than $1.7 million in WSOP career earnings including two second-place finishes) and Noah Schwartz (who was beset with a mysterious illness which required a visit to a local hospital during this event). It came down to Mizrachi versus Buchanan, with the former holding a 2:1 chip advantage. The end came when Mizrachi shoved all-in over a Buchanan pre-flop raise with the Canadian making the call. He showed A-J to be well placed against Mizrachi’s A-10, until a 10 appeared in the window, and that was that. 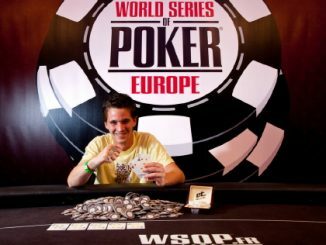 This was the first time that a No-Limit Hold’em-Split Format tournament has been included as part of either WSOP or WSOP Europe. Under the Split Format, there were differing numbers of players at the table during various stages of the tournament. The event began with play at nine-handed. The second day included six-handed tables. Then, the final day featured two heads-up matches.